These tilt steering columns were designed to fit 1953-56 Ford pick-ups. They are plain steel which allows you to paint them the color of your choice and they come with standard GM plug and wiring. Works best with a 4-1/2" to 5-1/2" drop. Accepts common 1969-up GM steering wheels or adapters and uses 1" DD u-joints. These columns measure 30" from the end of the Double D shaft to the upper end of the column that would be directly under the steering wheel. 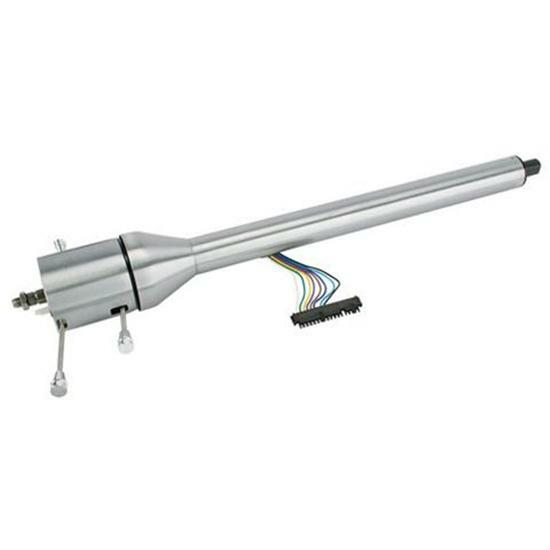 The splined shaft extends another 1-3/4" for the steering wheel adapter and steering wheel.